It’s that time of year again. The sun is shining, the birds are singing and the potholes are starting to show. What is it about this season that makes potholes so common, and how do we deal with the problem of perennial pothole patching? Let’s start from the ground up to get you the answers. Our roads are built in layers – a base of earth and gravel, topped with asphalt – an excellent material for road surfaces. Not only is it recyclable, but it’s also durable and it repels moisture. And keeping moisture out is key when it comes to building good roads, especially on the “Wet Coast” of BC. 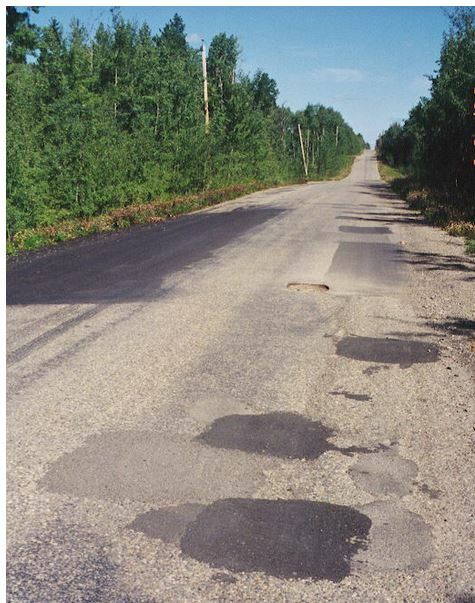 With over 47,000 kilometres of road to look after, you can bet we find a lot of potholes! So, how do we prioritize pothole repair? It’s kind of like a triage system for wounded roads. Depending on the where the pothole is located, it may need to be filled within days or even hours. For example, a pothole that’s in the travel path of a main highway gets priority over those on the shoulder or on a low volume road. The size of the hole also plays a factor, with larger ones having priority over smaller ones. The best time to fill potholes is when the weather is warm and dry. But when a pothole poses a safety issue, we often can’t wait for ideal weather. We fill the hole with a temporary fix during the winter season and plan on returning during the summer to make a permanent repair. Unfortunately, because the patching material doesn’t bond well to the road surface in wet, cold conditions, it’s not uncommon to see a pothole needing repair again shortly after it was filled. In fact, we might make a number of temporary repairs to a pothole before the weather improves and a more permanent fix can be made. The colder and wetter the spring, the more often repairs are required. Ministry staff and our maintenance contractors travel the roads regularly, looking for problems. We also value reports from the public as potholes can appear quickly, and the more eyes we have on the road, the faster we can find out about possible problems. If you see a pothole during your travels, please give our maintenance contractors a call and make sure they’re aware of it. There are 28 maintenance contractors throughout the province, and you can find the one for your area here. How long do we have to wait for the dangerous pot holes to be repaired. At present there are 75 potholes from Head of the Lake Entrance to Desert Cove Estates Entrance. There are over 300 home in this development and lots of the residents are older and have a harder time at seeing these potholes, especially when we have two blind corners to go around where there is continuous holes. Hi Holly. Patching crew has this scheduled to be completed by the end of the day today. Thanks for sharing this with us Brian. Our maintenance and rehabilitation group work closely with provincial partners in developing new technologies. Would be nice if persistent and deep potholes were properly repaired before repaving. 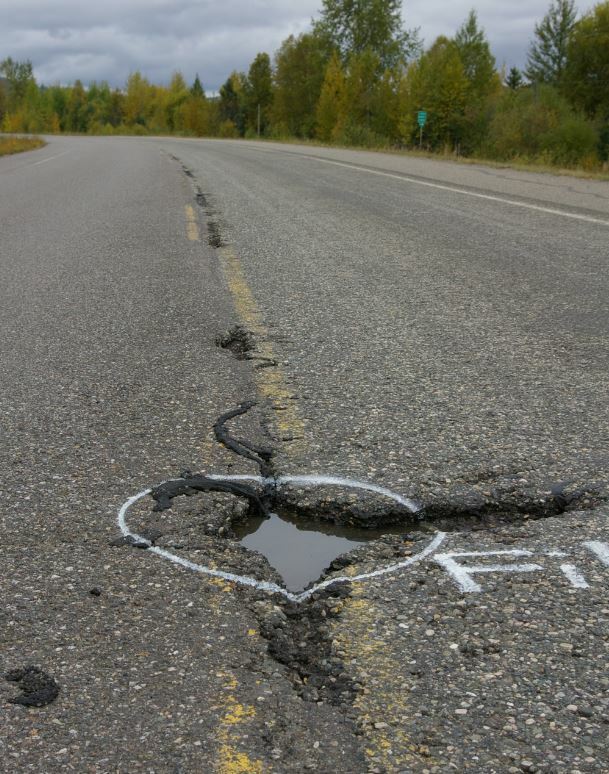 When the hot in place repaving was done east of Revelstoke some potholes didn’t even take a year to reappear. Thanks for connecting with us here. We have sent your comment forward to the local area office for follow up. With good overnight weather recently, our maintenance contractor was able to complete some repaving of the George Massey Tunnel approaches, capturing the majority of the potholes. Work was done this past Sunday and Monday nights.